A company able to withstand a disruption is a company built with resilience. Continue reading to learn about our unique approach. 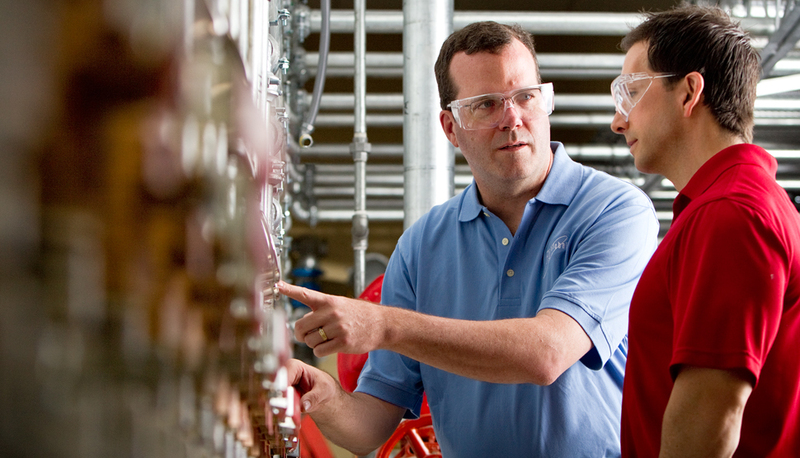 Put engineering to work for your business and see why it’s integral to our approach. At FM Global, the majority of our business is placed through broker partners across the world. At the core of these business arrangements are carefully cultivated relationships built on trust and transparency. Together, we’re focused on ensuring our clients’ business resilience. From assessing risk to responding to loss to supporting recovery, we form long-lasting partnerships with you. Your client service team provides personalised attention and frequent consultations, which helps them gain a deep understanding of your business and your specific risk exposure. It’s no wonder so many of our clients think of us as an extension of their property risk management team. Tenaska’s vast new solar project shines a light on the importance of teamwork and the impact of positive energy. When you sign a contract with FM Global, you can expect timely delivery of your insurance policy anywhere in the world it is written. We’re committed to ensuring the best rate in the industry: We deliver 95 percent of our master policies within 30 days of inception. Maybe you want to buy direct. Or maybe you want to buy through a broker. Our dual delivery capability allows us to sell, underwrite and service both direct and brokered clients, offering a choice that doesn’t exist with most carriers. Your company isn’t like any other and your industry challenges are changing all the time. No matter what industry you’re in, we provide deep, comprehensive understanding of your unique property insurance and loss-prevention needs.